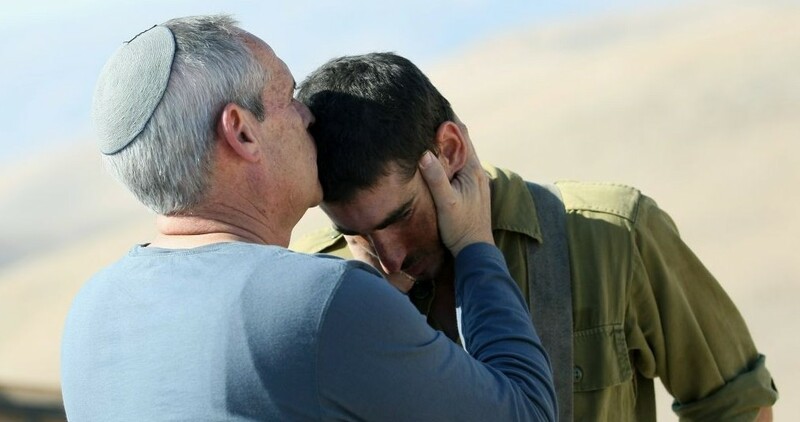 A religious Jewish father kisses his son on the forehead. Israeli researchers have found that religious observance helps protect Jews against suicide. In a cross-sectional study published in the journal European Psychiatry in June, religious Jewish teenagers exhibited less than half as much suicide-risk behavior, including attempted suicide, as their secular Jewish peers. The researchers say the results may be explained by Judaism’s spiritual and communal support, as well as by its prohibition against suicide, and could help identify and treat at-risk Jewish teens. “We demonstrated that Judaism protects adolescents against suicide risk at least as much as Christianity does,” said Dr. Ben Amit a resident in psychiatry at Clalit Health Service’s Geha Mental Health Center in Petah Tikvah, Israel, who led the study. “The findings give us as clinicians more insight into where the Jewish adolescents we treat are coming from – and when they are really at risk. In 1897, Emile Durkheim, the French Jewish founder of sociology, was the first scientist to suggest that religion protects believers against suicide. The link has since been strengthened by a more than a century of research – but most of it has focused on Christianity. The Israeli study extends this research to Judaism for the first time. Suicide is a leading cause of death among teens in Western countries. In the United States, it ranks behind only accidents and murder as a killer of 15-to-24 year-olds, according to the National Institute for Mental Health. But anecdotal and indirect evidence has long suggested that suicide is relatively rare among Jews. Israel’s suicide rate is consistently among the lowest in the developed world; and U.S. states with larger Jewish populations have been found to have lower suicide rates, even after controlling for other social factors. To directly study the association between religiosity and suicide risk in Jews, the Israeli researchers analyzed survey information from the Israeli Health Ministry about the mental health of more than 600 Israeli Jews between the ages of 14 and 17. Religiosity (ultra-Orthodox, observant or non-observant) was reported by the teens’ mothers. Suicidal thoughts and behavior (thinking or talking about hurting or killing oneself or taking action to do so) were reported by both the teens and their mothers. Because depression is a major predictor of suicide risk, the researchers also interviewed the teens and their mothers to determine whether the teens were depressed. Statistical analysis of the responses revealed a strong negative association between religiosity and suicide risk. Ultra-Orthodox and observant teens were 55 percent less likely than non-observant teens to exhibit suicide-related signs. In contrast with previous research on Christian teens, it did not matter whether the Jewish teens were depressed or not, and religion and depression were not associated. The researchers speculate that Judaism’s protective power may come in part from the spiritual purpose and communal support it provides, both of which are powerful sources of psychological strength. Shoval says he sees the power of Judaism for his patients particularly in times of conflict, like the current fighting between Israel and Hamas, which has him working overtime. But why does Judaism seem to protect against suicide in a different way than Christianity does? Further research is needed to answer that question, the researchers say. It may simply be the result of a difference in the focus of their study, they say, as opposed to an actual difference. Another potential explanation they cite is Judaism’s strict prohibition of suicide, which by most estimates is stricter than Christianity’s though less strict than Islam’s: Maybe religious Jewish teens are at lower risk of suicide, even when they are depressed, simply because it is unthinkable to them. Según tomado el jueves, 24 de julio de 2014. Previous Post Tishá B’Av y las 3 Semanas: ¡Todo lo que necesitas saber!